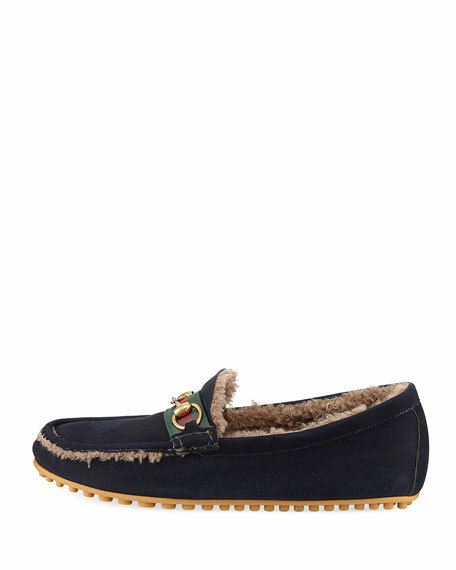 Gucci suede driving shoe with dyed lamb shearling (Italy) fur lining. 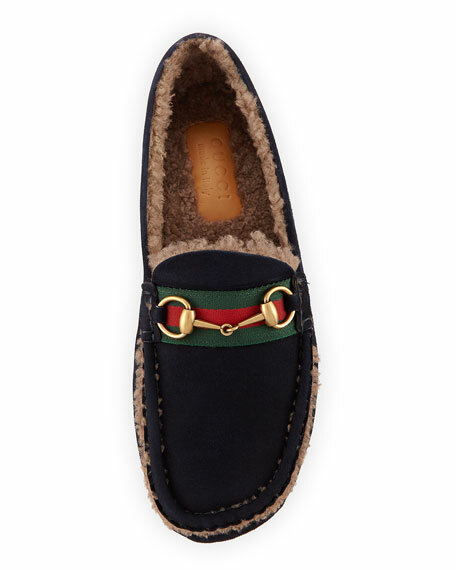 Gucci Horsebit set atop signature green/red/green Web strap. 0.3" pebbled rubber driving sole. For in-store inquiries, use sku #2383102.